CHARLESTON, S.C. – Environmental groups have sued the federal government to prevent seismic exploration for oil and natural gas beneath the ocean floor off the East Coast. The lawsuit, filed Tuesday in South Carolina, claims that the National Marine Fisheries Service violated the Marine Mammal Protection Act, the Endangered Species Act and the National Environmental Policy Act when it issued Incidental Harassment Authorizations in late November. Those permits authorize five companies to harm or harass marine mammals while conducting seismic surveys in waters from Cape May, New Jersey, to Cape Canaveral, Florida. 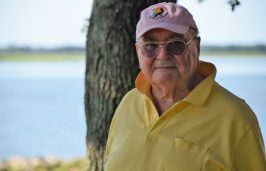 The North Carolina Coastal Federation, which publishes Coastal Review Online, along with the South Carolina Coastal Conservation League, Center for Biological Diversity, Defenders of Wildlife, Natural Resources Defense Council, Oceana, One Hundred Miles, Sierra Club and the Surfrider Foundation joined to file the lawsuit. The Southern Environmental Law Center is representing South Carolina Coastal Conservation League, Defenders of Wildlife, North Carolina Coastal Federation and One Hundred Miles. Earthjustice is representing Sierra Club and the Surfrider Foundation. The plaintiffs claim that authorizing five companies to simultaneously conduct seismic testing would disrupt the entire marine ecosystem, and could seriously injure or kill whales and dolphins, including the critically endangered North Atlantic right whale. 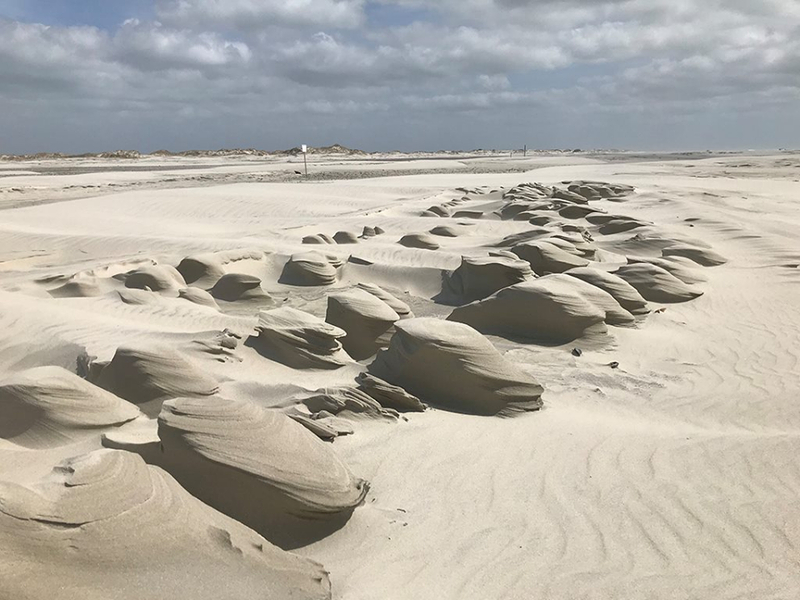 North Carolina Coastal Federation Executive Director Todd Miller said seismic testing and offshore drilling are incompatible with North Carolina’s coast. 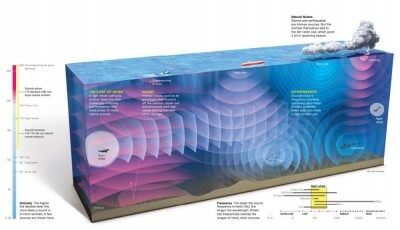 Seismic exploration uses airguns to shoot loud blasts of compressed air through the ocean and into the seafloor. The sound waves travel back to the surface providing information about the possible location of undersea oil and gas deposits. The petroleum industry says East Coast states stand to reap economic benefits from offshore energy reserves. For North Carolina, $2.56 billion in cumulative tax revenues from offshore leasing could be realized during a 20-year period, according to a recent report from the American Petroleum Institute. “This new study is proof that the tax generating benefits of federal offshore activity could be a huge benefit for investments in our children’s education, offsetting college tuition increases, and rebuilding infrastructure throughout the state,” said David McGowan of the North Carolina Petroleum Council. Others say any economic benefits are far outweighed by the risks. A recent economic study by Oceana shows that offshore drilling activities, including seismic exploration, off the East Coast threaten more than 1.5 million jobs and nearly $108 billion in gross domestic product, and would yield less than seven months’ worth of oil and less than six months’ worth of gas. 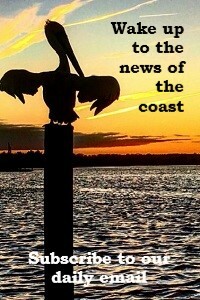 The plaintiffs cite opposition and concern over offshore drilling activities in the Atlantic from the governors of Florida, Georgia, South Carolina, North Carolina, Virginia, Maryland, Delaware, New Jersey, New York, Connecticut, Rhode Island, Massachusetts and New Hampshire and more than 240 municipalities in East Coast states. More than 1,500 local, state and federal bipartisan officials, an alliance representing more than 42,000 businesses and 500,000 fishing families and fishery management councils are also opposed. The National Marine Fisheries Service issued permits to five companies on Nov. 30. Before those companies can begin seismic testing, they must also receive permits from the Bureau of Ocean Energy Management. Also on Tuesday in Charleston, the South Carolina Environmental Law Project filed a lawsuit on behalf of 16 South Carolina municipalities contesting the validity of the incidental harassment authorizations.